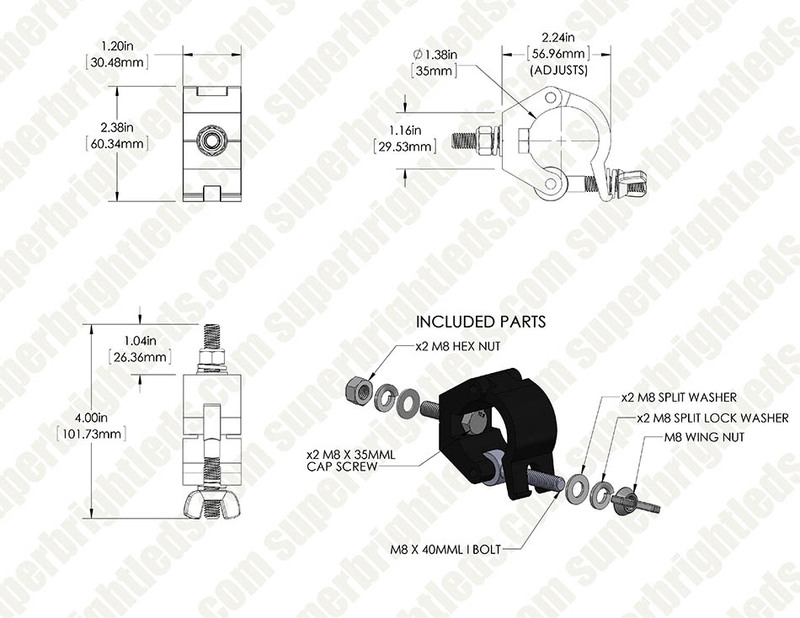 Work Light/Light Bar Clamp for Work Light Tripod Stand and 1-1/4" Tubing: 360° View. 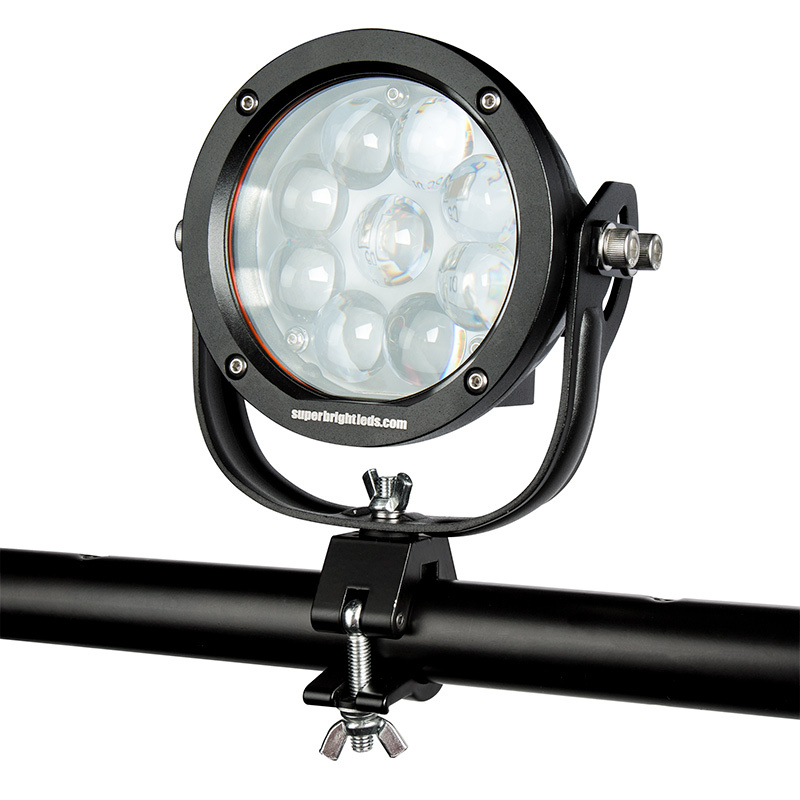 Work Light/Light Bar Clamp for Work Light Tripod Stand and 1-1/4" Tubing: Shown Mounting AUX Lights To Brush Guard (Lights Sold Separately). 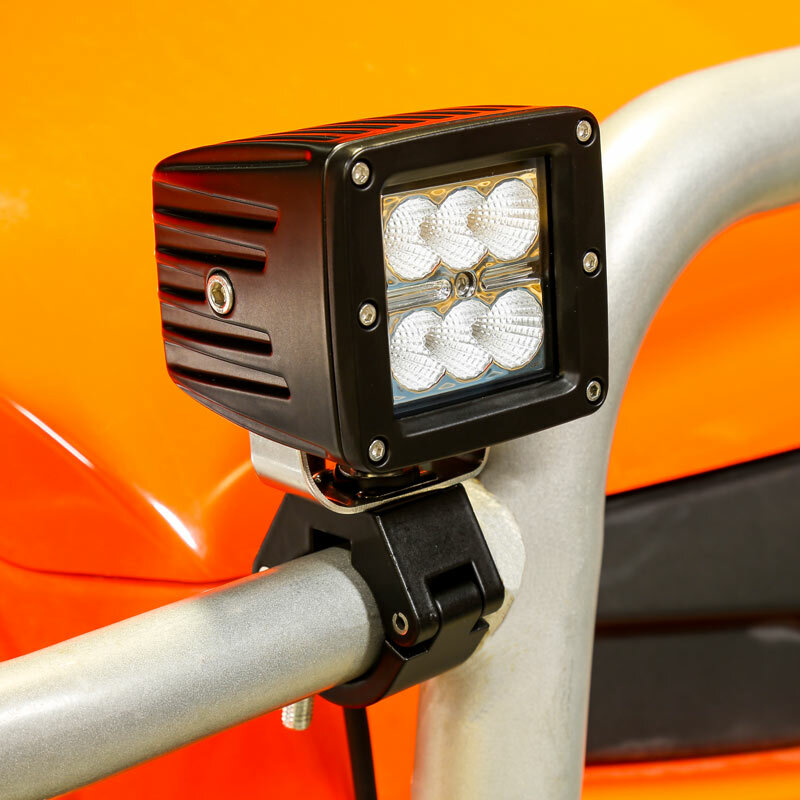 Work Light/Light Bar Clamp for Work Light Tripod Stand and 1-1/4" Tubing: Shown Mounting AUX Lights To Golf Cart Brush Guard (AUX Lights Sold Separately). 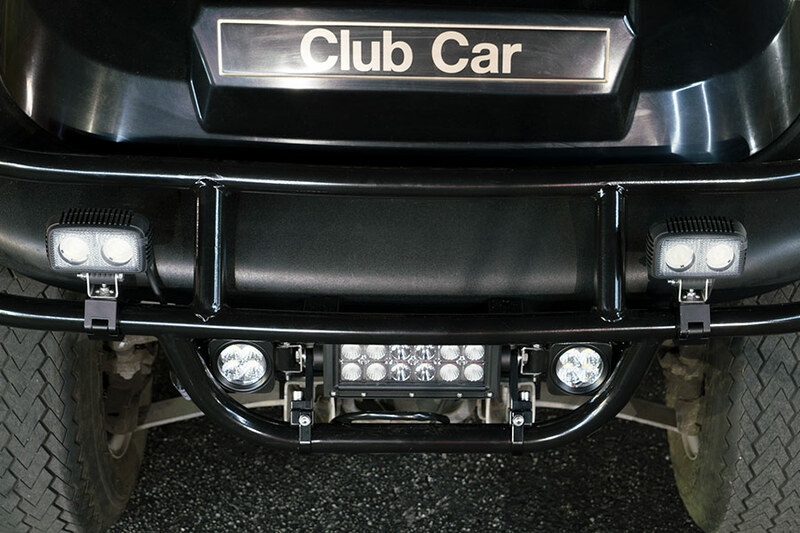 Work Light/Light Bar Clamp for Work Light Tripod Stand and 1-1/4" Tubing: Shown Mounting Work Light To Middle Bar On Golf Cart Brush Guard (Lights Sold Separately). 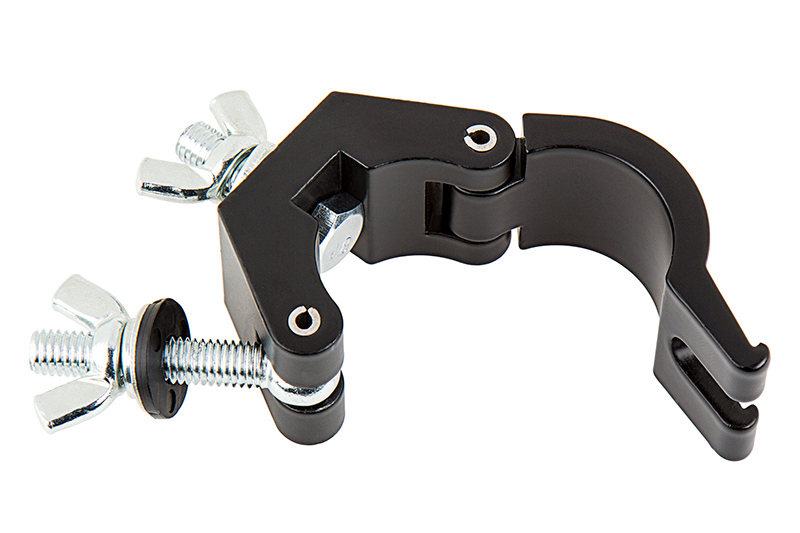 Work Light/Light Bar Clamp for Work Light Tripod Stand and 1-1/4" Tubing: Shown Mounting AUX Lights To Middle Brush Guard Bar (Lights Sold Separately). 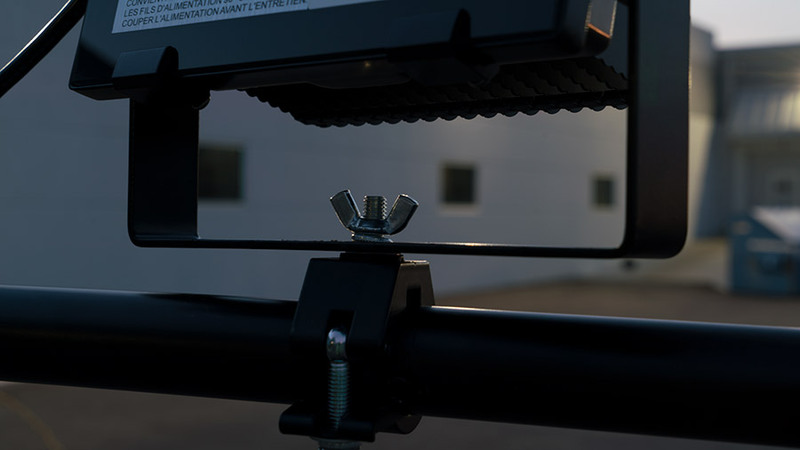 Add LED work lights, light bars, or auxiliary lights to your work light tripod stand, roll cage, or brush guard with this heavy-duty clamp. 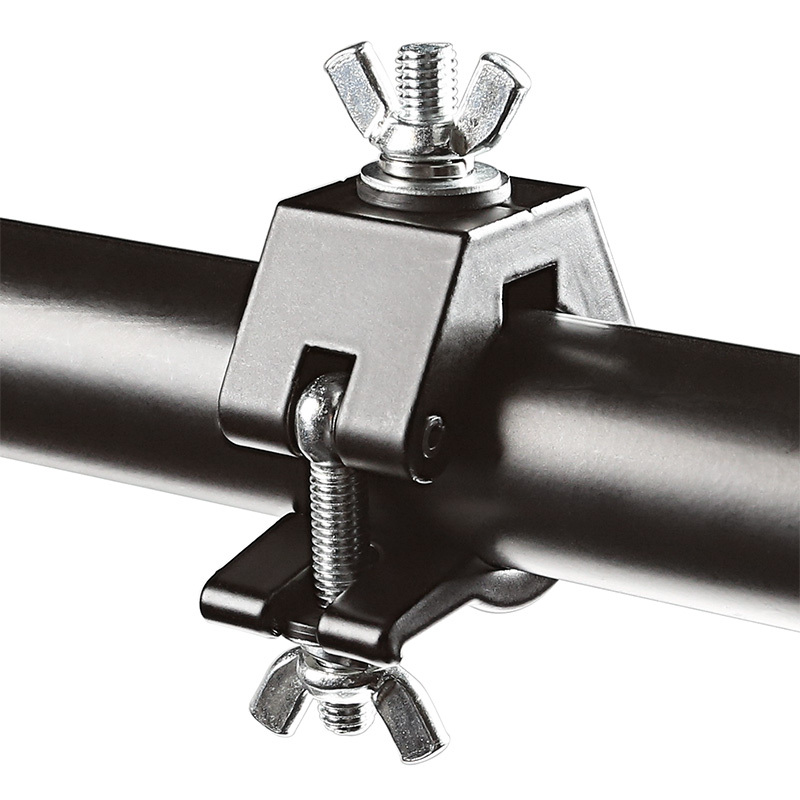 The universal LED light clamp is designed to fit any tubing that is 1-1/4" in diameter and will hold light fixtures with brackets that exceed 1" in height. 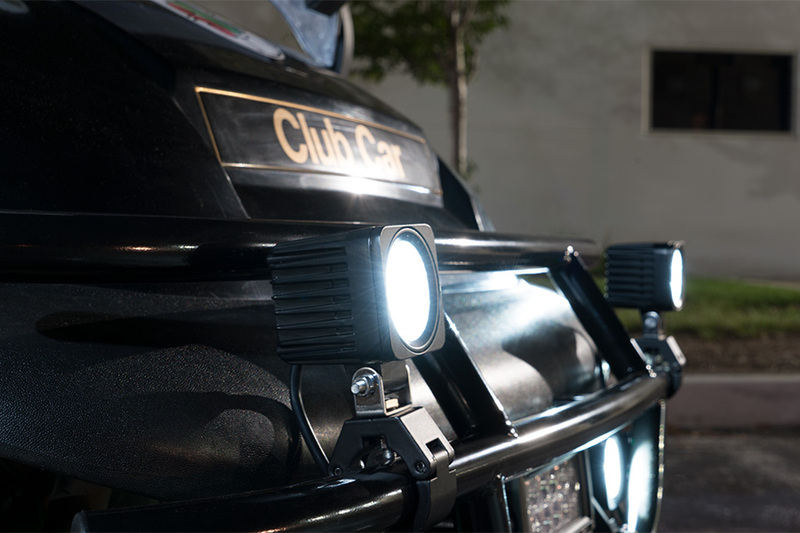 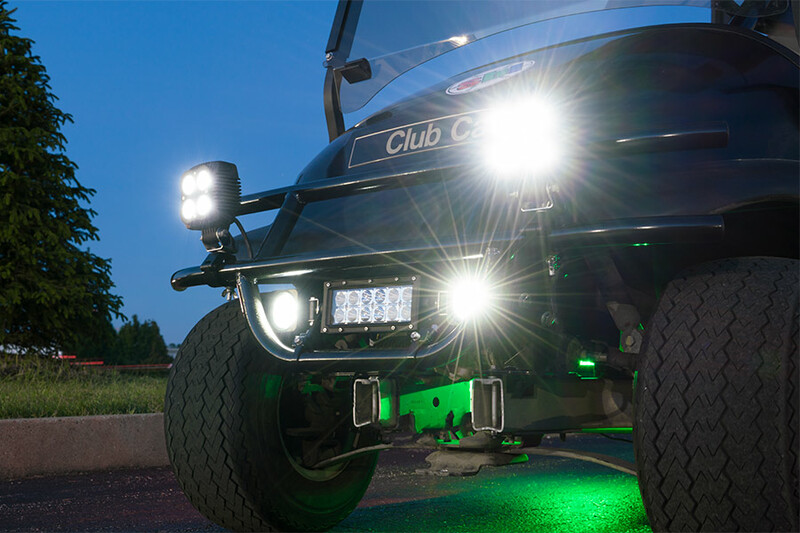 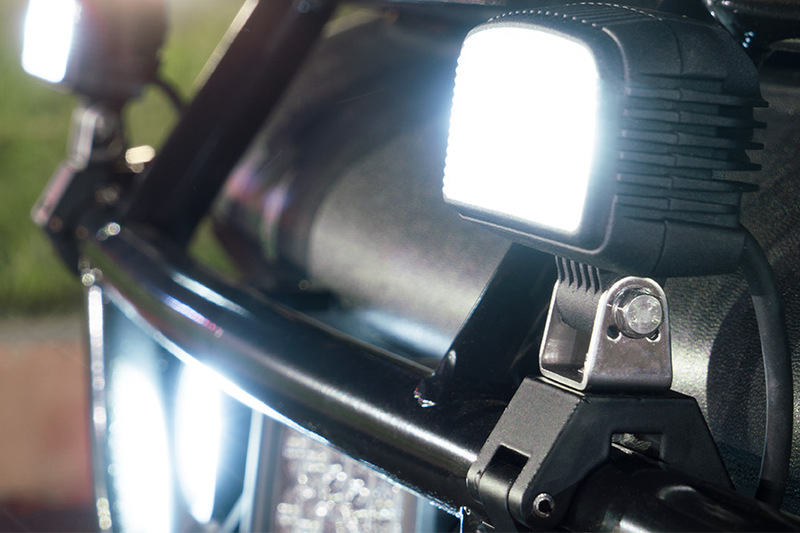 The powder coated aluminum light clamp sports a sleek black design and allows you to pivot your LED light for illumination exactly where you need it. 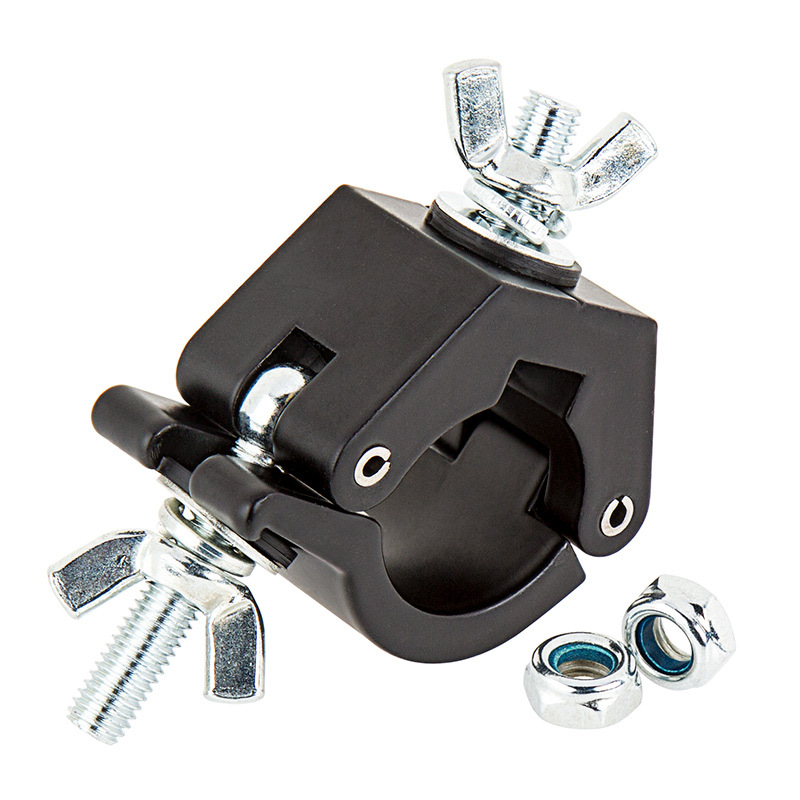 Quick and easy clamp-on installation with included hardware.